And it would be an amazing, fantastic and unrepeatable experience. I know this why? Because I have been the recommended wedding film specialist at the ‘real Downton’ aka the quite frankly utterly stunning Highclere Castle for several years. Go Me! And with the fourth series of ‘Downton Abbey’ imminent and me busy editing a private dinner party filmed at Highclere earlier this year I thought it fitting to tell everyone a bit about my favourite wedding venue of all. 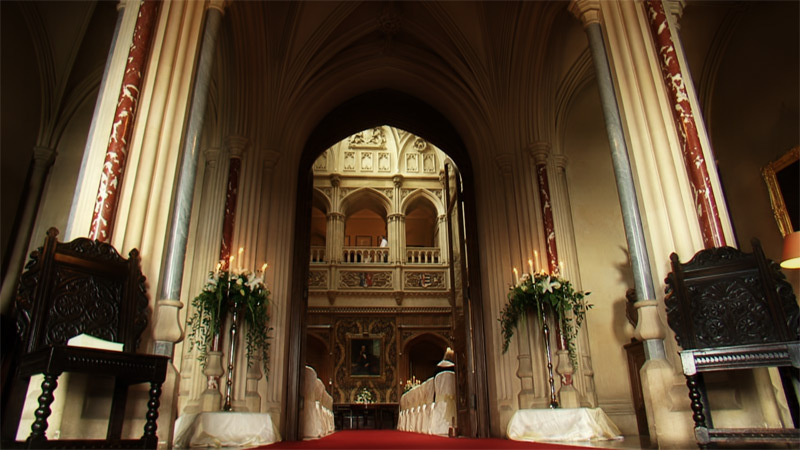 There are a few stunning wedding venues around but the thing that’s special about Highclere is that it is stunning inside and out. From the minute you arrive through the beautiful grounds your first ever view of the dramatic building will take your breath away. It still does it to me every time. Then, when you thought it couldn’t really get any better…it does. 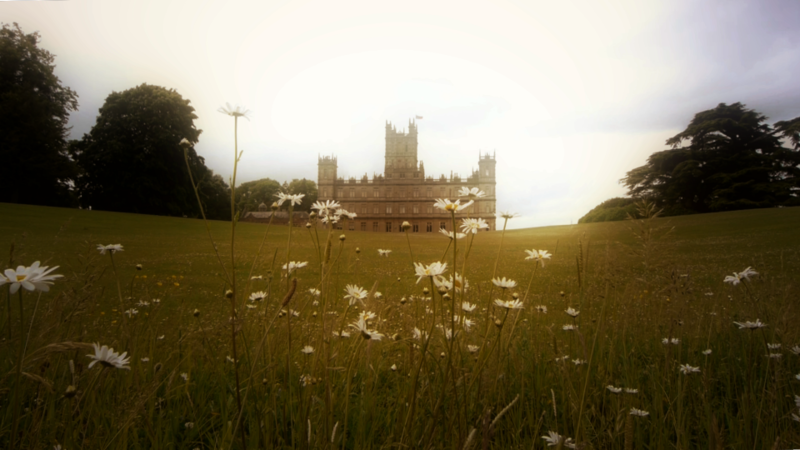 If you’re a fan of ‘Downton Abbey’ (personally, I love the show!) you will be quite familiar with the entrance hall with its intricate ceiling, the grand saloon with its impressively high vaulted ceiling, the beautiful gallery that runs the length and width high above the saloon, the beautiful staircase leading down from it or the library with its floor to ceiling collection of rather ancient books and secret door leading into the music room. For those of you historically inclined, one hundred years ago Highclere Castle was the seat of the 5th Earl of Carnarvon who, together with Howard Carter in 1922 discovered the tomb of Tutankhamun. 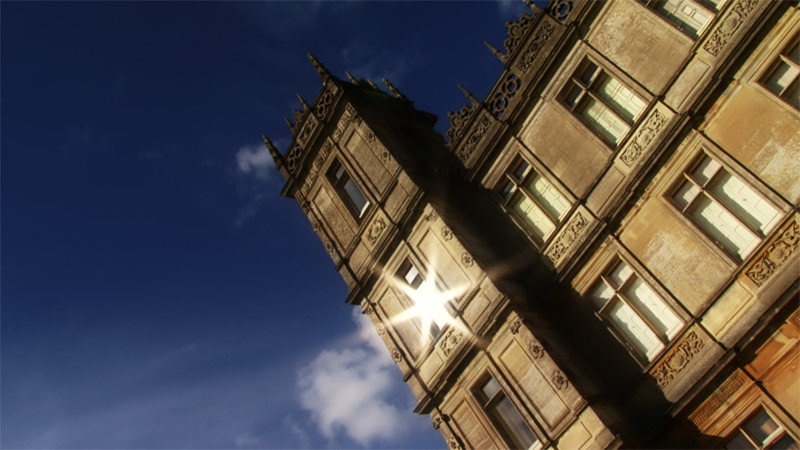 Today, Highclere is home not only to the 8th Earl and Countess of Carnarvon but also to one of the most unique and exquisite exhibitions of Egyptian artefacts. I have seen it and it really is amazing. Guided tours can be arranged for you and your guests and it’s definitely worth it. 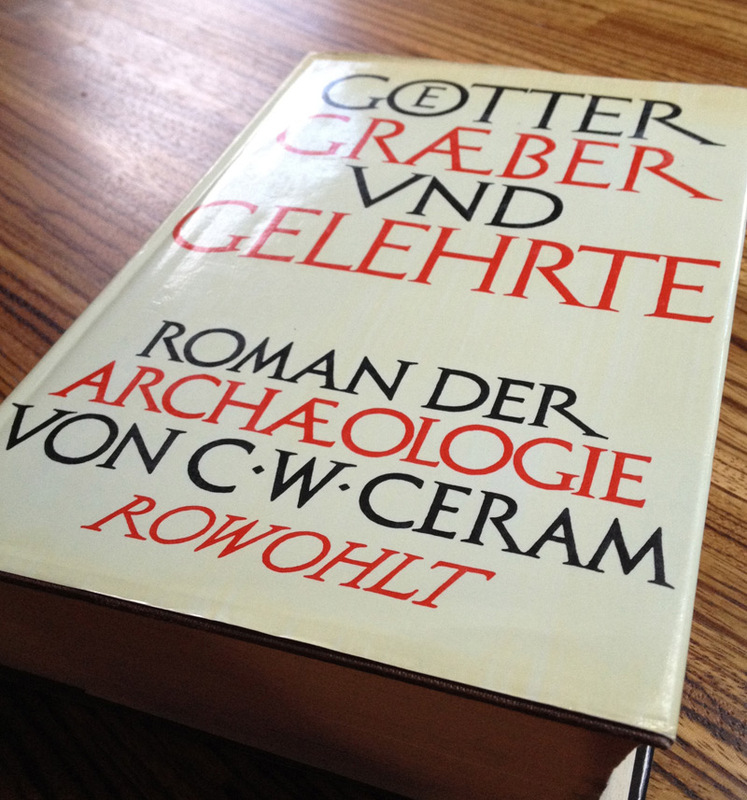 I’m no history fan but the one thing I found irresistibly interesting at school was the story of Tutankhamun’s discovery – so much so that I am still the proud owner of my now 40 year old copy of ‘Götter, Gräber und Gelehrte’, now slightly yellow around the edges, I admit, which tells the story of Carter and the Earl of Carnarvon. Who would have thought all these years later I’d end up at The Earl of Carnarvon’s home quite regularly…?! But all this architectural and historical prowess aside, Highclere is also one venue where service is absolutely paramount and always impeccable. Their team of dedicated and experienced staff infallibly led by Luis Coelho and Michelle Rees-Jones will exceed your highest expectations, as will the castle’s in-house catering team, led by head chef Paul Brooke-Taylor. Yes, I can personally vouch for their food’s deliciousness as well as the care extended even to us every single time. Wether you choose to make your entrance from the imposing entrance hall or channel your inner Lady Mary and choose to sweep down THAT staircase, you will most definitely get noticed and nobody will forget your wedding day in a hurry.